Rob and his kindergarten teacher wife are parents of two children currently attending school in SD61. 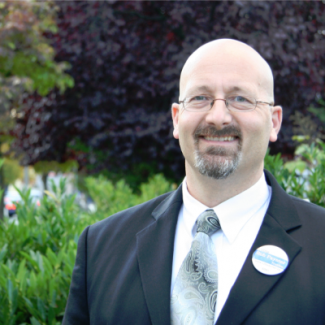 His original decision to run for trustee was driven by problems his children faced at school and the amount of effort that they had to expend to address these issues. While their concerns were eventually resolved, they came away with the appreciation that there were other challenges and other students that could benefit from additional attention and advocacy. During his first term as trustee, Paynter worked with other trustees to initiate the Board’s first-ever strategic planning process, improve decision-making transparency and make the administrative process both more accountable and more accessible. While the Board has made good progress, he believes there is more to be done to achieve a truly equitable and inclusive public education system. Wanting to provide the best possible learning experience for all students is a continuing source of motivation for Paynter in this role.